A Labrador Spring: First Edition Hardcover \ 1910. 1910 Boston Dana Estes 1910. Condition: very good. 1st Ediiton. xi,11-262pp. Octavo. Plates from photos. Original pictorial gray cloth with gilt lettered spine and white lettered front, with white, gilt and black illustration on front. White lettering and white of front illustration some rubbed. Library example with 2 bookplates and a stencil # in white to spine. .
Breakwater Books Ltd, 1990 Breakwater Books Limited, Saint Johns, Newfoundland, Canada, 1990. Hard Cover. Condition: Fine. Dust Jacket Condition: Fine. First Edition, First Printing.. Archival Wrapped DJ. James Bayne Company, 1910 The James Bayne Company nd. ca. 1910s, Grand Rapids, Mich, circa 1910 (by the look of the autos). 64 p. 21 x 28 cm. 3 colour illustrations and 56 b&w illustrations, including two fold-out panorama shots. Card covers with multi-colour print. Tied with green cord. Near Fine condition with just mild wear, quite nice. "Pictorial album intended to refresh recollections of any visitors and to serve as an accurate guide while touring the city.". Bagged & Boarded for Posterity. A Corn of Wheat, or The Life of Rev. W. J. McKenzie of Korea. First Printing, 1903, Hardcover. Toronto: The Westminster Co., Limited, 1903. First Edition. Pp. 290. Illustrated with five plates. frontis, lacking tissue guard. 8vo, green cloth, gilt lettering and decoration to frontand spine. Watters p.536, Tennyson, Cape Bretoniana 4518. First few pages a bit loose, all complete, very good with owner gift sig. on front fep..
CYCLORAMA Ste Anne De Beaupre Souvenir . 1915 Color Lithographs. Montreal, QU, Canada: Federated Press, 1915 Measures 8 1/2" x 11" with 14 full color pages depicting the panoramic paintings ( Color Lithographs) of biblical scenes along with other sites and places... Antique circa 1915. Includes the original titled mailing/storage envelope in light brown paper. Dual text in French and English. . Bagged for Preservation. Published by the authors by courtesy of "The Montreal Standard", distributed by St. John News, Montreal First Edition. -no date (circa 1918) Pictorial Paper Wrappers with 48 pages, ( including 8 pages of advertisements at the rear.) Illustrated with many full page portraits and head & shoulders photos, illustrated title-page, etc... Contains reprints of newspaper accounts of units activities and a nominal roll of members and addresses of next of kin. A valuable reference. This is the first edition of two containing the page 3 illustration of the Commander of the regiment. The second edition has an illustration of a warship on page 3. This example is in exceptional condition having been kept in a scrapbook for most of the last century. Front cover, spine and content pages all very nice. Pages remain very clean, free of damage, with nice illustrations. The rear cover (where it was affixed to a page in the scrapbook) has glue remnants (ghosts) and a few edge chips & 1 spine corner tear. It will of course be archivally protected from here-on-out in a crystal-clear poly bag and 1/4" acid-free white board. 15 1/4" tall, 10 1/2" wide.. First. Very Good. Folio - over 12" - 15" tall. A set of 3 books, all in the original cloth and in VG+ to Near Fine condition. Very uncommon and scace. The second annual meeting was held at the Mt.Madison House in Gorham, NH. The 3rd & 4th were held at the Y.M.C.A. building in Berlin, NH. . Bagged for Posterity. Maple Ridge School 1875-1959. Maple Rifge, NB (New Brunswick) The History of a small one-room Schoolhouse in Rural NB. Woodstock, NB: Henley, 1971 A large book, 72 photo illustrated pages. A very limited printing, quite scarce. Published to celebrate the class reunion in 1981. The History of a small one-room schoolhouse in rural Maple Ridge, N.B., Canada.. First. Staple Wraps. NF. Illus. by Assorted Photos. Bagged for Posterity. In the Mersey Woods - First Hardcover Edition in Dust Wrapper, + Signed Letter. Bowater Mersey Paper Company Liverpool, Canada, 1989. Hardcover. Book Condition: Fine. First Edition. Signed B00440GJW0 Signed letter from the president of Bowater to a Professor at Harvard U. 117 pages. Map endpapers. Black and white reproductions of archival photos. Foredge with a bit of a coffee stain, else NF in dust wrapper. . Archival Wrapped DJ. Montreal, QU, Canada: C. R. Chisholm & Brothers , 1875 3rd of 4th edition likely but not stated. This edition has the complete text with all wood block illustrations and 1 fold-out map of Boston. Binding is poor and worn condition. Reading example only but for the 1 folding map in great condition. 296 text pages includes 66 pages of ads and app. 3 dozen illustrations. . 3rd Edition. Max Gros-Louis First Among the Hurons - First English Language Edition, 1974, Signed By Chief Max. Max Gros-Louis - First English Language Edition, 1974, Signed By Chief Max on the first page, the 1/2 title. "Chief Max Tone (one?) onti Gros-Louis", Very scarce thus. 151 photo illustrated pages. .
St. Paul, MN: Hungry Mind Press, 2000 289 pp, Near fine in illustrated wrappers. . Flat Signed by Author. Bagged for Posterity. 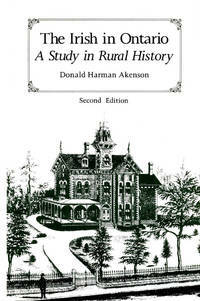 PICTURESQUE SPOTS OF THE NORTH Historical and Descriptive Sketches of the Scenery and Life in the Vicinity of Georgian Bay, the Muskoka Lakes, the Upper Lakes, in Central and Eastern Ontario, and in the Niagara District. First Hardcover Edition, 1899. Chicago, Illinois, U.S.A.: Belford, 1899 Alexander Belford & Co., Chicago, IL, 1899. Hardcover. Book Condition: Very Good. No Jacket. F.B. Schell; A.B. Frost; L.R. O'Brien; F. Hopkinson Smith; etc. (illustrator). First Edition. 4to - over 9¾ - 12" tall. 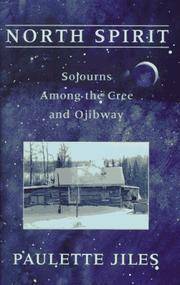 "Historical and descriptive sketches of the scenery and life in the vicinity of Georgioan Bay, the Muskoka Lakes, the Upper Lakes, in Central and Eastern Ontario, and in the Niagara District". ". 205 numbered pages + 2 blanks front & rear; numerous wood-engravings from original drawings. A very nice clean example with no owner markings what-so-ever. . First. Hard Cover. Near Fine. Quintin Publications, 1997 Publisher: Quintin Publications, Pawtucket, Rhode Island, 1997 Trade Paperback. Used - Very Good. 1886560463. Large paperback reprint of this 1908 publication, 366 pages, illustrated, history, French Canada. A library example with some pen notations, else near fine. . This Ottawa Valley of Mine - First Edition, 1982. U.s.a.: Mcgill Queens Univ Pr, 1984 404 pages, photo illustrated. . Hard Cover. About Fine. quite scarce, 40 pages in original glossy stiff wrappers. . Bagged for Posterity. Juniper Books, Renfrew, ON, 1986. Soft cover. Book Condition: Near Fine. 1st Edition. Oblong format, oblong blue photo illustrated wrappers. Original color printed soft covers, clean, tight and unmarked. . Illustrated. 239pp. Size: Oblong..